How can we get the point across? That children should be doing real things in school? Cutting the stem for a boat is easy and quick if you know how and have the right tools. Seeing the stem held in the vise just so, allows me to see that it will at some point cut water. Cutting a new stem for education, directing students back toward creative engagement in the real world is not so easy. Yesterday I got a request for the Clear Spring School woodworking curriculum to help a friend pitch the idea of wood shop to a new charter school forming in Indiana, but my friend noted that talking woodworking to educators is like landing from a strange and distant planet. That was not always the case. Those who learn easily from lecture and from books are advanced rapidly through school and end up going to college where a certain proportion of them are inspired to enter the field of education. They become teachers whose primary knowledge of learning is through lecture and through books and who make the assumption that others must either learn the same way or are impaired. But just as all children do not walk at the same exact month, not all children are ready to read in the same exact year. So they are propelled through schooling as though they must be expected to do these things, and where the system fails, the students are isolated for remediation that assures them they are forever dumb. Today I am in search of additional wood for boat building as I wait for supplies to arrive. Make, fix, create, and transform education to allow students to learn lifewise. Yesterday I began making center frames for Bevins Skiffs, which require making a plywood or cardboard template first. The template helps with the arrangement of parts, and getting them cut to the right angles, and the center frame is crucial to the construction of the boat at an early stage. I am held up going further on the center frames until epoxy glue arrives to attach gussets. Having made the stems for the boats the day before, I'll give them some decorative shape, as there should be at least a point rising at the prow to touch upon my own Norwegian ancestry. I have been attempting with the help of Knud in Norway and Barbara in Canada to understand some words in the Norwegian language. Snekke is the name given to a particular kind of Norwegian boat, and another correspondent in Norway had referred to his as "an old worm." If you go to translate.google.com and try the word snekke, the English translation from Norwegian is"worm." If you try the plural form snekker meaning two or more such boats, the translation is "carpenter." It means that, too, and it is confusing until one remembers that in English, one word can have a variety of meanings, and somehow we sort between them based on the context in which it is used and make whatever sense we are able. STEM is an example. It may refer to Science, Technology, Engineering and Math, or it can mean to stop one thing (as in stem the tide), or be the start of another as in the stem of a plant, or of a pipe, or of a boat. In building a boat we must attend to the whole thing from stem to stern, not forgetting, of course, the center frame. Perhaps this will help us to understand how and why it is so easy to confuse, befuddle and lie in words, and why to make something real, meaningful, useful and beautiful is so honest, truthful and pure in comparison. To make comes closer to the human spirit, than to make up, and yes, we love to do both. Today I will deliver some boxes to the museum store at Crystal Bridges Museum of American Art and shape the stems of boats, to attain just a bit more beauty in my mind's eye. Make, fix, create, and adjust schooling so that others may learn lifewise. Forming the stem for a Bevins Skiff requires some careful angle cuts on the table saw. Starting with a 2 in. x 3 in. piece of white oak, the first is made with the fence on the wrong side of the blade and with the blade tilted to 26 degrees. The photo was taken after the cut was made. For the second set of cuts, lower the blade but keep the angle the same. You will note that the fence is now in its conventional position at the right side of the blade. For the final cuts, the stem is held against the fence, with the distance between fence and blade set so that a 3/8 in. deep rabbet for the 9 mm. marine plywood to fit flush. This operation is different than was shown in the Bevins Skiff Building manual, as it assumes a right tilt blade. Saws with a left tilt blade have become more common, so perhaps this demonstration will be useful to others as the correct and safe process is different with a left tilt blade. I sent the photos to Joe Youcha, designer of the Bevins Skiff. Yesterday at the Clear Spring School we held the annual harvest party, attended by all the kids in the school, grades pre-k through 12 along with some parents and grandparents. I set up a booth at which students could make button toys and good luck tokens. Other activities were planned by various classes. The button toys were a hit at all ages. The children decorated discs of wood using markers, and then with my help drilled holes for the strings to fit. A square knot in the string completed the assembly. The button toy beats fidget spinners hands down because they provide a similar form of entertainment: one that takes a bit of real skill to operate and that you make yourself. Unless you operate them really fast, they are quieter than fidget spinners and are free if you have a bit of wood and string, a few simple tools and a modicum of skill. Today I'll begin forming scarf joints in plywood to begin preparing for boat building. Today the Clear Spring School holds its annual Harvest Party. It is a seasonally appropriate means to fulfill the Halloween dress-up inclination without having our kids dressed up as Dracula, princesses, ghosts and power rangers. It is also a gentle way in which our students do things to benefit each other. The older students are preparing food and drinks. The younger ones have planned games and prizes for each other. In wood shop my upper elementary school students made toys to give to our pre-primary school students. Today in the woodworking booth at Harvest Party, we will make wooden power pendants and button toys with all the kids. I may take some photos during that time. In the afternoon I'll pick up the plywood for building Bevins Skiffs, so that I can begin work on boats during fall break. "To get rid of the 'verbosity' of meaningless words Pestalozzi developed his doctrine of Anschauung - direct concrete observation, often inadequately called 'sense perception' or 'object lessons'. No word was to be used for any purpose until adequate Anschauung had preceded. The thing or distinction must be felt or observed in the concrete. Pestalozzi's followers developed various sayings from this: from the known to the unknown, from the simple to the complex, from the concrete to the abstract. To perfect the perception got by the Anschauung the thing that must be named, an appropriate action must follow. 'A man learns by action... have done with [mere] words!' 'Life shapes us and the life that shapes us is not a matter of words but action'. Out of this demand for action came an emphasis on repetition - not blind repetition, but repetition of action following the Anschauung." --William H. Kilpatrick in his introduction to Heinrich Pestalozzi (1951) The Education of Man - Aphorisms, New York: Philosophical Library. An observant (and often wordless) repetition of action is required in the development of skill, whether it is in music, science or the arts. The development of skill is a requirement for the development of the whole child, one who is integrated into the fabric of community and life. Schools that understand the necessity of skill understand also the necessity of doing real things. Yesterday Barry Dima from Fine Woodworking and I did a photo shoot, completing the photography for two articles on box making. My thanks to Barry and to Fine Woodworking for the opportunity to share a bit of what I've learned with others. Make, fix, create, and insist that students have the opportunity to learn lifewise. My first grade students are particularly industrious and ambitious in wood shop, but they have minds of their own. I salvaged plywood crating material from machinery delivered to ESSA last spring, and cut up into smaller pieces, it's been perfect for platforms on which to build who knows whats. The photo shows an example. I can't tell you what it is. It came from a student's imagination. It involved managing to glue long sticks onto a board in a manner stable and secure enough to support a complex structure, and in that, there is engineering involved. In the making of this particular project, I made a small discovery of my own. The student wanted me to hold the tall sticks in place while she went to do other things. The sticks were not square on the ends and gravity would not allow them to stand for even a moment on their own. I remembered a supply of small blocks of wood in a drawer. The blocks with glue were the perfect way to prop up the sticks and give them sufficient strength so that more could be done. A supply of square blocks will provide a new way to strengthen wood working projects in the days to come. Today an editor from Fine Woodworking and I will take photos to complete two articles for the magazine, helping adults to find ways to improve their box making. Plywood for boat building has arrived in Harrison, Arkansas for me to pick up. Make, fix, create, and adjust education so that others may learn lifewise. Today in the Clear Spring School, my middle school students will be decorating objects they are making through the use of veneers and milk paints. My lower elementary school students will be working on wheeled objects. This evening my editor from Fine Woodworking will arrive for a photo shoot that will likely take all day tomorrow. There is a temptation to believe that all new things, are good, particularly if we have to spend a lot of money on them. This is not always the case. Everything has a good side and a bad side, and while digital technologies including smart phones, have usefulness, they also have well documented adverse effect. And yet parents are often ill equipped to navigate and make clear choices for their kids, and are unwilling to draw important lines as to appropriate use. My call is not that we take things away from our kids but that we give them real things to do. The inconvenient truth is that learning is messy, it makes noise, and has concrete consequences... unlike fingers sliding over glass, it has real effects. The photo shows having used a plane to form a scarf joint for assembling pieces of plywood into a longer piece. I set this demonstration up yesterday so that my students at Clear Spring School could try their hand at joining the parts for building a Bevins Skiff. "This is hard," one said. But in less than an hour of attentive effort, a boat side can be formed from two pieces of ply. We used a construction grade plywood for the demonstration joint, and a better grade of marine ply will give better results. To finish the joint, one piece of ply flips in relationship to the other, and a mixture of epoxy and wood flour is used to finish the joint. Yesterday one of my students (first grade) told me she wanted to make a skateboard. The only wheels we had in wood shop were the ones we use to make toy cars. I am not certain how long her skate board with wooden wheels will last, but make it, she did. My upper elementary students had decided to make toys for children from our pre-primary school. They organized themselves into an assembly line, with some drilling wheels, some drilling axle holes, some sanding and some assembling, as other students made super-heroes from wood. Very little instruction was required. Were they learning? And what? And were they each learning at their own pace, and at their own level? You bet. Make, fix, create, and adjust schooling so that each student learns lifewise. The simple jig in the photo is my new design scarf joint router jig that supports a plunge router at just the right angle to form a scarf joint between two pieces of marine plywood. The long piece of wood is the guide piece that when screwed down through two layers of plywood hold them and the jig in position as the routing is done. The jig can be moved along to various positions to rout in stages the full width of the plywood stock. It may sound complicated, but is easier and more accurate than the old way of hand planing each piece of stock. 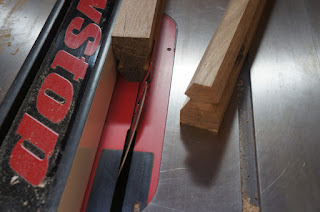 Later in the blog (after the plywood is received) you will see the jig in use. The round hole in the jig is for attaching a vacuum cleaner to assist in removing routed waste. The red board is the support for a plunge router. Of course, we could do things the old way, gain greater skill, possibly waste expensive wood, and run a greater risk of failure. I will set up a trial experience so that students can test their hands in the old way. The Bevins skiff is an eleven and a half foot row boat that can be adapted to sail. It can comfortably fit three, and the point of making at least two is that in sailing, the performance of one can be compared to the other, and students can observe the effects of wind and water and the other vessel in comparison to their own technique. It seems to be a secret of sorts (at least where educational policy makers are concerned). But when we learn real things by doing real things, what we learn has greater relevance and greater lasting effect. Make, fix, create and encourage others to learn lifewise. On Monday I'll order the 9 mm. Meranti plywood for building Bevins Skiffs at the Clear Spring school (starting) in December. In order to have sides and a bottom for each boat of sufficient length, I am making a scarfing jig for the router that will allow the necessary scarf joints to be cut. I also ordered a router bit that I believe will work just right with the jig I designed. Other that that, I've little to say that I've not said before. On my blog, http://wisdomofhands.blogspot.com, I have nearly 5,000 published posts at this point, each one saying nearly the same thing, from slightly different angles. We develop in skill, character, and intelligence, and act in support of human culture, family and community when our hands are central to learning. I repeat myself, knowing full well that the world at large will likely not listen, and may likely not understand without having taken time to observe personally the relationship between the hands, the heart and the intellect. And yet, the hands are essential to our humanity and will continue to have their effect, whether we are conscious of them or not. Yesterday was a big day for Fed Ex as the driver brought 5 packages from Taunton Press. Three contained boxes that I had sent for photography in product review articles and two were blades for cutting box joints that will be used in photography next week when editor Barry Dima returns for a second visit to Eureka Springs on Wednesday. Making pens in the Clear Spring School has led to the practice of cursive in high school. The lead teacher puts a quote on the board each Wednesday and the students put it in their own hand writing using the pens they crafted in wood shop. An additional benefit will be that our students know how to read cursive. In the wood shop at the Clear Spring School, my upper elementary school students decided that they wanted to make toys for the pre-primary students to be shared with them at our annual Harvest Party next week. They began by making super-heroes and making wheels for the toy cars they plan to make next week. On Monday I'll order boat building supplies for Building Bevins Skiffs at the Clear Spring School. The following week will be perfect for receiving an order of plywood shipped from Ohio, as I will be out from school for fall break. Last night we held a successful Mad Hatter's Ball at the Crescent Hotel to benefit the Eureka Springs School of the Arts. Make, fix, create and adjust education so that children learn lifewise. Yesterday I installed the hand forged hardware on the Viking chest, and applied a coat of boiled linseed oil as a finish. Linseed oil was used as a wood finish on boats and chests in the Viking era as it was a by-product from the growing of flax. One or more additional coats will be required. It is relatively non-toxic, has a pleasant smell and can be replenished at any time. My thanks to Bob Patrick for having made the hardware. It is simple, strong and appropriate. I followed his guidance on installing it. First use screws, then one by one, replace the screws with nails. It's better than screwing up. In the meantime, there is additional information about the effects of smart phones and kids. In fact, the amount of screen time for kids is growing at a rapid pace and our knowledge of the detrimental effects is growing as well. It would be best if parents took a cautious approach to technology. But it may be too late for that. Children strive to emulate the behavior they see in adults. When adults are glued to their phones, ignoring what goes on around them, what can we expect from their kids? Make, fix, create and set an example so others learn lifewise. Yesterday I had a great day in wood shop. What starts out as a bit of chaos ends up with the students deeply engaged and reluctant to quit. 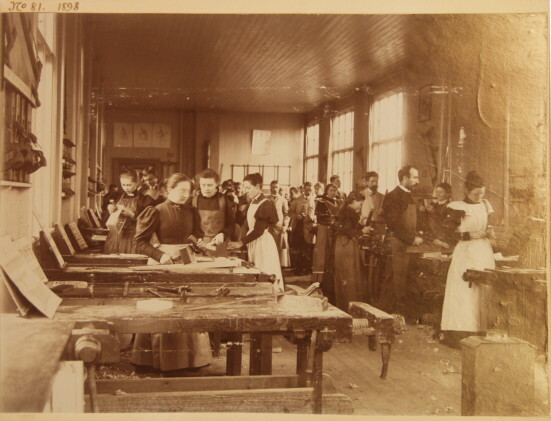 The student shown sawing in the photo inspired several others to begin making toy cats, and then moved on to build a house for hers. The house was a ramshackle one, held together with a few nails and lots of glue, but it was carried home with great pride. I am not sure what the parents will do with such a collection of work, and I hope that they understand what it represents. Beginning craftsmanship is rough, it's imaginative, and serves as evidence of effort, of growth and of learning. One of my students announced yesterday, "I want to work on this more at home." It is wonderful to see children engaged in real work, and the joy of creativity must be extended into the whole fabric of life. It would be a wonderful thing if all schools would renew an interest in woodworking. It would be wonderful if all families were to offer such things also. So the message is simple. Buy some tools, make them available to your children, and watch over them to see that they are safe. There has been a dramatic increase in highway deaths that most are attributing to smart phone use. Smart phones are addictive. Less dangerous tools like knives, saws, hammers and the like, are addictive as well, but the consequences of their use may lead to greater intelligence and character as the child learns to create useful beauty in service to family, community and self, all without putting others at risk. Make, fix, create, and increase the joy that comes from learning lifewise. This Saturday is the 33rd semi annual meeting of the New England Association of Woodworking Teachers (NEAWT). It is being held at Pinkerton Academy in Derry, New Hampshire, and I was proud to have attended their first meeting in that same location, 17 years ago. To RSVP or get additional information please contact Ben Kellman bkellman@billericak12.com Networking between teachers gives purpose and strength. In my wood shop yesterday I made progress in building a "Viking" tool box, fitting a bottom in it and bending the hardware to fit the curvature of the lid. Still remaining are to drill holes in the hinges and hasp, sand the various parts smooth, nail the corners, and attach the hardware. 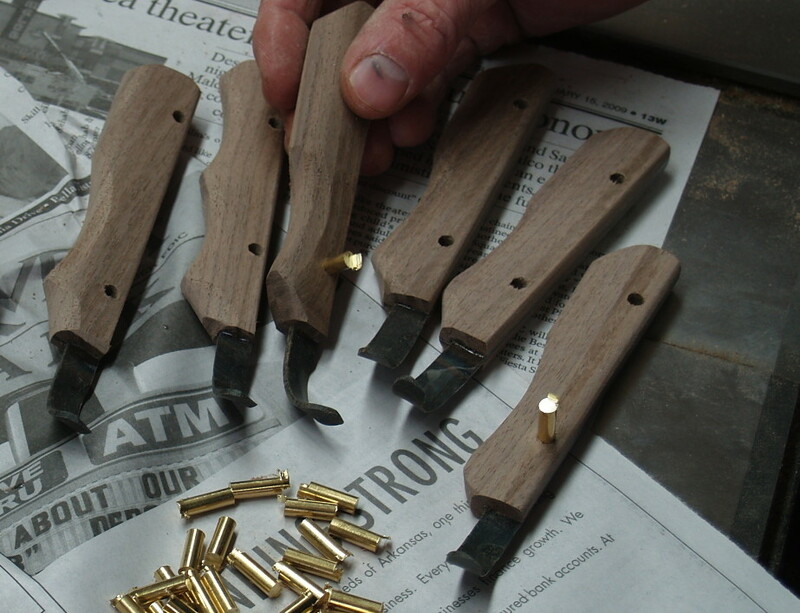 The Danish oil finish will be applied over the hardware, giving it a protective coat. I have a second chest in the works, also, but with angled sides, and with hinges made from scrap steel. I'll make the hardware for it on Thursday when I have no classes to attend to. Make, fix, create, and accelerate learning lifewise. The Viking chest prototype is ready for a bottom to be fitted and for hardware to be adapted to fit. Bob Patrick left the hardware un-quenched so that it will be malleable and can be bent to the curvature of the lid. He also left the hole drilling for me so that I can choose where to put the hand forged nails he made to hold the hardware in place. In next summer's ESSA class, students will make the chest and hardware in the wood and metals shops. Today I plan a quiet day in the wood shop. Yesterday, in addition to trying to re-conceptualize the Wisdom of the Hands book, I prepared for another article in Fine Woodworking and the visit of an editor from that magazine in two weeks. This article will be about the hidden spline joint, as in the box shown, that will serve as a prop in the article to illustrate the finished joint. I have yet to sand the outside and apply Danish oil to brighten the color of the woods. I will also add a lining so that it can be sold when the article is complete. 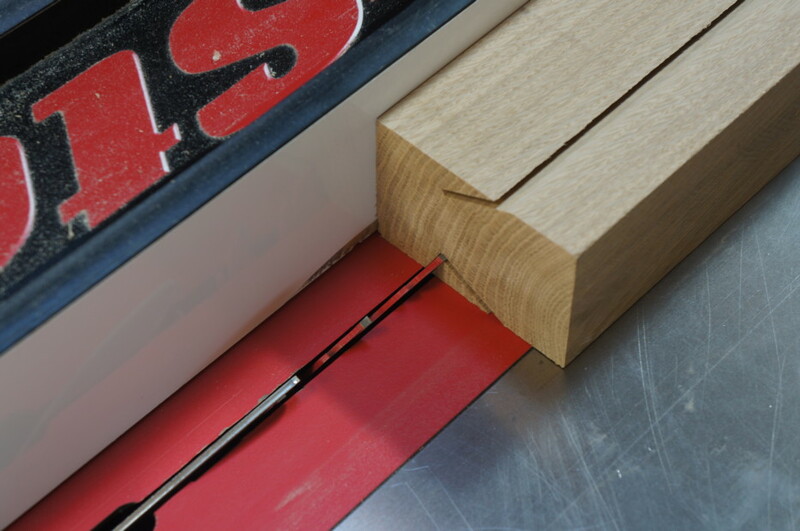 The hidden spline joint gives great strength to the corners of a box, and does nothing to interfere with the grain pattern on the outside. If working with wood like this quartersawn white oak, the hidden spline joint can be the perfect choice. Making the hidden spline from a contrasting wood brings emphasis to the craftsmanship involved in forming the joint, and in this case, I chose walnut to match the top panel and lift tab. In the wood shop at the Clear Spring School today, I will continue reading the manual for building a Bevins skiff to my high school students. America, we make too few allowances for late bloomers. Children do not all develop on the same schedule, and some of the damage done in schooling is never corrected. Today I am revisiting my materials for the production of a Wisdom of the Hands Book, as I have no other writing projects to attend to. Have you ever noticed just how much you use your hands—touching, gripping, sorting, folding, pressing or wiping with them? Exploring textures, gauging hot or cold, wet or dry? Holding and manipulating an object? Whether they are pointing, picking, pinching, smoothing or soothing—the list goes on and on—our hands are rarely at rest. Even when we speak, our hands are engaged, drawing out our words and phrases with gestures that give added dimension and emphasis to our thoughts. In fact, our hands perform an astounding array of discrete actions each day. It’s no exaggeration to say that every facet of human existence, from the artifacts that inhabit and enrich our daily lives to our grandest cultural achievements, was touched by human hands. And yet, we rarely notice. From one perspective, this is no problem: we function more efficiently when some of our hand skills, practiced from birth, are employed automatically and unconsciously. But because our hands are so closely integrated with our brains and so seamlessly responsive to our thoughts, we tend to overlook and underestimate their greater significance in shaping our individual lives, our culture, and our society. Even more, in America today, we intentionally eschew handwork, preferring the remote-controlled or battery-operated instead. We design things that are “easier to use”— meaning, without manual effort or skill—when those efforts and skills are in fact what can offer the greatest pleasure and growth of intelligence and character and are the building blocks of a meaningful life. We also design our children’s schools to be hands-off environments, where the eyes and ears are engaged but the hands are too often required to remain in the lap. As a result, we have created an educational divide between hand and mind, emphasizing academics and relegating arts and crafts, if they are presented at all, as extracurricular activities. This bias persists into our society at large, ignoring or disparaging the value of the hands’ contributions to economy and culture. Worse, is that by leaving the development of skilled hands to be something apart from schooling, we have closed doors for our kids, that open would have given cause for deeper engagement and lifelong confidence in learning. Hopefully the book will go on from there (and from here). What I had at first intended was a philosophical treatise. It is a thing I've been trying to get my head around for 18 years. I've begun to realize that much of what's needed is a clear path of instruction on how to get going with it. Philosophy alone is not enough. Yesterday in wood shop, my high school students were at work as I began reading to them from the instruction manual for the Bevins skiff. Some were finishing their models of the Bevins skiff. I had noticed that they had been talking to each other about things unrelated to woodworking and found that reading to them was a way to bring them into a common focus. I will do that again. Fellow woodworking teacher and author Gary Rogowski has a new book coming out called "Handmade: Creative Focus in the age of distraction" and I became interested in where the term "age of distraction" came from, as I'd been hearing it a lot lately. Joseph Urgo published a book "In the Age of Distraction" in 2000, describing the adverse effects of technology. That may be the first use of the term, unless something earlier comes up. Do you believe that digital devices are eroding your memory and ability to concentrate for any long period of time? Unless you actually attempt to do real things in the world, that require patience and skill you may never know. I have a Clear Spring School board meeting today and will then resume work on a Viking chest in the afternoon. Working with the hands slows one down, and allows one to observe more closely. There is much to be said about being contemplative as an alternative to being distracted. The hand forged lock shown above is one that I bought as a souvenir in Sweden, and one that would look great on a Viking tool chest. I received a hasp, hinges, handles and nails from blacksmith Bob Patrick, to fit on the oak Viking chest I started last week. Now it's up to me to finish the chest and take photos for a summer class. Today I have high school students only, as my middle school and elementary school students are off and recovering from their camping trip. Teachers, too, are recovering with a day off. 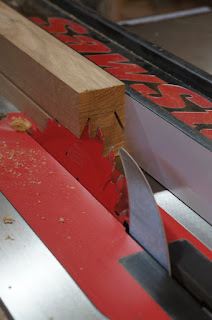 I am studying the use of a router to cut scarf joints in plywood, in preparation for building Bevins skiffs. The material comes in 8 foot lengths, and 12 foot is required. 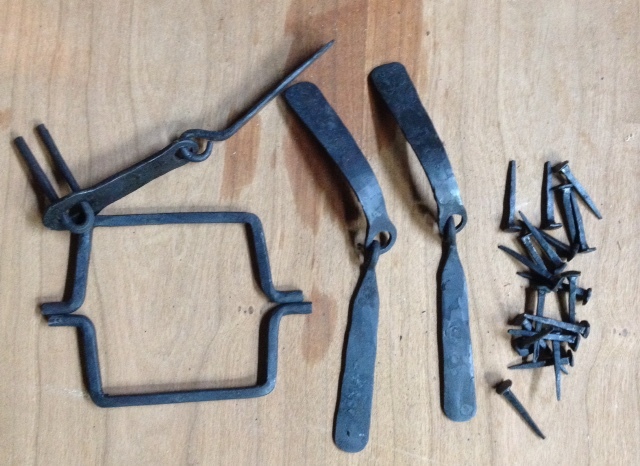 The photo shows the array of hand forged hardware items I received in yesterday's mail. Make, fix, create, and extend to others the opportunity to learn lifewise. Yesterday I took knives and whittling supplies to Withrow Springs State Park to give Clear Spring School students on the fall campout some instruction in whittling. I also took a set of spoon carving knives even though the task of carving a spoon requires greater strength in hand and more skill than most small children have. Some wanted to try, and while intelligence and strength are not the same thing, both are complimentary powers in the whole child. The Clear Spring School camping experience is one of learning to take care of each other, as individual children are testing themselves in an experience beyond the school walls and in nature. How do we help members of our society to understand the value of taking care of and for each other while also taking pride in themselves? I was thinking last night about how it is important that we frame our debates over such things as guns and healthcare in terms that help us to understand our responsibilities and interconnectedness. For instance, I think it is a mistake when the Democrats claim that health care should be a right. Good health is a gift, not a right. We give it to ourselves to some degree. We may be lucky enough to find it sustained in our communities, in our environment or in our family genetics. Some may not be so lucky. We may claim a greater share of it through attention to regular healthcare, good exercise and diet. The care we give to each other is also a gift and not a right. But then, what does it say of us (and who we are) if we fail to give that gift to those among us who are in need? If we choose not to use the government (our most powerful instrument of collective strength) to be of service to others, what kind of nation have we chosen for ourselves, and what kind of people are we? I guess our nation has not decided about that. When will we begin to understand that a large part of schooling is about caring for each other, about working out the small problems that may come up, and beginning to feel as though we each and all are a part of much larger things? And that we have responsibilities to care for each other! If you look at politics in the US right this minute, you may find that many of those lessons were not learned. And the shame is on us. We do not give to each other only because there are needs, but because we also have a need to serve, and we will never be whole without having made a sincere and unrestrained effort to be of service to others. "Virtue: Whatever is true, whatever is honorable, whatever is just, whatever is pure, whatever is lovely, whatever is gracious, if there is any excellence, if there is anything worthy of praise, think about these things." There is a marked difference between the artificial world of "virtual reality" and the practice of virtue, which demands the search for truth, and beauty and requires becoming worthy of praise through service to both family and community. 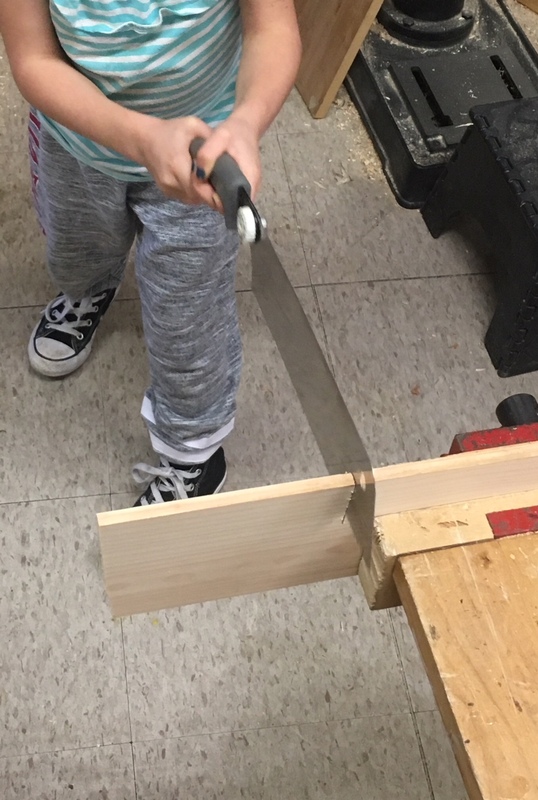 Woodworking in school provides a resource for the exploration of virtue. Reader René asked if we need a new way to measure the effectiveness of schooling. If you are standing in front of a classroom, it is hard to determine whether students are engaged enough to actually understand what you are lecturing about. That's why they developed pop quizzes, tests, and standardized distractions. Today I have a piece of new equipment arriving at ESSA, and in the afternoon will take whittling knives to Withrow Springs State Park where our students, grades 1 through 8 will be camping overnight. The experiences that students have in real life may be challenging to measure, but have profound effect. The knives in the photo are spoon carving knives, that I made and plan to re-harden and re-handle to take advantage of having learned to do better. Make, fix, create, and increase the opportunities for students to learn lifewise. grasping the full attention of the whole child. Standardized tests usually offer a choice of three or four answers to each question. There will be one correct answer, and two or more that are deliberately wrong. The reason why some students do well on standardized tests (even when they've not studied the material) may be that they've been deeply enough engaged in the real world and in real life to recognize a dumb answer when they see it. That may explain why so many students do best with learning when the hands are engaged in it. The hands have a way of discerning that which is real and true from that which was contrived for educational effect. That may also explain why students studying science hands-on may have a leg up over those who learn science by lecture, reading and discussion alone. The use of the hands has a very particular way of grasping the full attention of the whole child. Trump's secretary of Education, Betsy Devos is pushing online charter schools, as being the solution for rural kids, even through they have an abysmal success rate. http://www.politico.com/story/2017/10/08/education-betsy-devos-online-charter-schools-poor-results-243556/ In Pennsylvania, an early adopter of virtual charter high schools, "Not one virtual charter school meets the state’s “passing” benchmark." Virtual and virtuous do not mean the same thing. Yesterday in wood shop at the Clear Spring School, I intended that my students make wooden puppets. One girl insisted on making a toy cat instead. All of the design of it came from her ideas. All of the work on it was her own with the exception of drilling a hole for the tail to fit. In addition to the cat, she made the cat's playroom also, including a cat bowl. Make, fix, create, and extend the understanding that we all learn best lifewise. I am occasionally challenged by the question, "How do you prove what you say?" My question in return (aside from pointing to such studies) is, "How do you learn best?" And if challenged to name some educational experience that had maximum impact on the life of the learner, the response can almost without exception be interpreted as "Hands-on," not necessarily meaning that only the hands were involved in learning, but that the hands as a symbol of the whole man, or woman being totally engaged, thus gaining an exceptional learning experience at a deeper level and to greater lasting effect. So let's get real. Children and adults learn best by doing real things, not by sitting bored at desks and being told what's what. If we think back on our own educations in elementary school, middle school, high school and college, during which we were generally bored and disinterested, we must not rest knowing that we've likely imposed that same degraded schooling on our kids. Tomorrow I will attempt to offer just a bit of insight into why hands-on learning may beat lecture even though less time is available to "get through the material." Getting through the material implies a rush job in which very little actual learning takes place, and yet it is what too many teachers across the US are given as their mission on earth. Today I will continue an introduction to the qualities of real wood with my upper elementary students, and make wooden puppets with my first, second and third grade students. Make, fix, and create, thus assuring others have an example for learning lifewise. I've started playing with a prototype for a "Viking" tool or treasure chest. Blacksmith Bob Patrick is going to make the hinges and hasp for it. Bob, having just returned home from teaching at the Eureka Springs School of the Arts, will begin the hardware this week. The idea is to hold an ESSA class in which students will spend two days making the chest, two days making the hardware for it, and on the final day, everything will come together in collaboration. It will be a way that the black smith shop and woodworking studio can work together, and students can say, "I made the whole thing." Our hope is that it will lure blacksmiths into woodworking, and woodworkers into blacksmithing, and lead to greater confidence for all. A leading Apple designer of the iPhone said in an interview that it is being abused. What is that abuse? He said it mainly involves "constant use." People are addicted to technology that leaves them disengaged from the real wonders that surround them. What are those wonders? You will not find them on google. Make, fix, create, and enlist others in learning lifewise. My high school students have been practicing with the pens they've made in wood shop. Each Wednesday their teacher assigns a quote for them to write. Evidence of style is emerging, and the students are enjoying it, as you can see in the photo. Work presented with style has greater impact. You can have the best ideas in the world, but if you cannot present them through a process that shows integrity and care, you may never get them across the threshold of success. Yesterday in wood shop, my upper elementary school students made Soma cube puzzles, and as I was very busy assisting, I got no photos of that. I planned that exercise to get my students to pay careful attention to the alignment of edges, and more careful use of glue. A side benefit was for them to observe carefully the difference between end grain and side grain. End grain absorbs glue more readily and is more difficult to get an effective glue joint. Success can be improved by careful observation of the materials. To prepare for this exercise I make hundreds of small cherry blocks. At ESSA, students are finishing a week-long class in blacksmithing, a week-long class in glass mosaic, and a three day introductory class in wood turning. At Clear Spring School, my high school students will continue with framing square math, and my upper elementary school students will work on precision and less sloppy work. I have blocks for them to assemble into Soma cubes. In order for these Soma puzzles to work, the blocks must be carefully sanded and positioned with care in relation to each other. I had noticed a growing mindlessness being applied in their work and I hope to bring them toward greater concentration and concern for the outcome of their work. Making puzzles is an exercise that I hope they also enjoy. A reader asked for an accounting of the benefits of woodworking in school. Years ago Jack Grube and I developed a list of 21 reasons woodworking is of value in 21st Century Schools. You can find that, here: https://www.dropbox.com/s/2dge3pdu5mcf1nz/neawt21reasons.pdf The reader also asked on behalf of her pastor, of the spiritual benefits of woodworking. Some of those are included (though not specifically indicated or separated) in the list. I personally do not believe there to be a division between that which is practical and that which is of spiritual concern. Woodworking is a means through which children and adults can seek to serve in their families and communities whether you name that as a spiritual matter or not. There is little more important in the development of a child's life than the creation of useful beauty. The same is true for adults as well. Joseph, after all, was a carpenter, and St. Paul made tents for his living. The photo shows Kip Powers demonstrating on the lathe. His philosophy is that too much instruction cuts into the student's time on the lathe and interferes with learning. It is better for him to give basic principles, and then to observe and counsel individual efforts. Trump, in the meantime warns of a "storm coming. Let's hope not. Between guns and hurricanes, we've already suffered enough. I'm sorry you can't have that. As our nation attempts to recover from the largest and most gruesome execution of civilians in recent American history, and we make a desperate attempt to come to an understanding of how a single individual can go so far off track, it is useful to take stock. In fact, the stocks of the killer's guns had been altered turning each into a machine gun capable of wanton mindless fire. Tools can be like that. They can either be engineered to serve as an exercise of mindfulness and concern for each other, or otherwise. They can draw us together or split us apart. Ivan Illich had written a book, "Tools of Conviviality." Guns are often not convivial. Republicans in Congress, financed by the NRA insist that we must not talk about such things, until the nation has had sufficient time to mourn. They said the same thing following the execution of children and staff at Sandy Hook Elementary School (and every mass shooting since Columbine) and have gotten away with it. There is a sense of false manliness associated with the owning and use of firearms. Forgive me for my painful sarcasm, but it's like wanna-be cowboy Senate candidate Roy Moore, waving a pistol at one of his campaign events. Whoopie ti yi oh. It would be OK to adopt a national policy similar to what we have in wood shop. In wood shop students must demonstrate responsible and mindful use of tools in order to be entrusted with their use. To see that tools are being used carefully, correctly, and mindfully, I am a constant reminder. When something is pickup and misused, whether a tool or a stick, I must say, "I'm sorry you can't have that." Would that not be a good thing to bring up in the discussion of guns? Blacksmith Bob Patrick and I are scheming a class for next year at ESSA in which we will share and flip flop students mid-week, making a Viking era tool box similar to the Mästermyr chest. Students under Bob's instruction will hand forge hardware for the chest. Students under my instruction will make the chest. At mid-week, Bob and I will trade students, and at the end of the week we will gather both groups to complete. Sound like fun? I hope so. 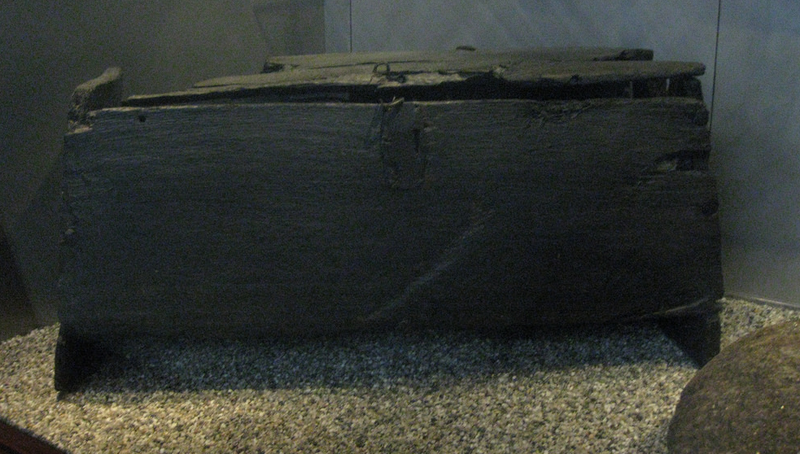 The photo above is one example of a Viking era tools chest. It was rather chaotic in the wood shop today as first, second and third grade students finished their animal habitats. Some needed trees, some needed houses and grass and one needed a cave where her mother cat could care for its "cubs". There was no shortage of creativity, and no shortage of excitement. Now the students can continue work in their classroom, despite the mess. Most of the students had used sawdust colored green and glued on the board as grass. Today at ESSA we have Kip Power's teaching introductory wood turning in the woodshop. I also have a program meeting to plan ESSA classes for 2018. Make, fix, create, and increase opportunities for others to learn lifewise. My students in first, second and third grades were to make habitat boards for tiny rock animals they have made. In wood shop they were to build home settings for them. I supplied plywood boards and offered a lot of materials for them to consume. They wanted a more concrete starting place, and it was not until I got involved making houses from cut off 2 x 4's that all got into full gear. In cutting roof shapes, small triangles were formed. "Who wants bushes?" I asked. The small triangle blocks were in great demand, as were the small houses. I made lots of both. To make trees we used a Veritas dowel former to shape the ends of sticks to fit 3/8 in. holes we drilled in their plywood boards. We will work on these habitats on Wednesday as well. Even in a thing so simple as in holding a hammer, one can feel a change in self. Tools and their skilled use actually shift perception and identity. Guns are like that but on steroids. If people have no capacity to create, they may be drawn to the darkest side. An interesting point in relation to the shooting in Las Vegas is how the tools we hold shape who we are. They say it is too soon after the shooting to talk about gun control. They say that would show dis-respect to those who mourn. How about right now talking about Columbine, Sandy Hook, Chicago, Austin, and all those other places that have suffered so. If we indeed wait for all the mourning to cease, there will be no end of it. Capiche? Is it possible to do something about guns, violence and stupidity in American culture? The fascination some men have with guns could be met by the possession of tools. The tools used to shape wood convey a sense of power and control, provided you've learned their proper use, and invested in the development of skill. Through the development of skill, direct relationship with reality is established and sustained. There are lots of things that can go wrong in society, infecting people with malicious delusions. Generally speaking, however, we are made better and more whole when we are actively engaged in the creation of useful beauty. My heart goes out once again to those who suffer from the serial events of violence that infect American culture. Some people say that guns are not the problem. I would say that people with guns IS a problem. Guns feed dark fantasies that are too often acted out. Tools, on the other hand stimulate creative acts. When a man (or woman) has made something useful and lovely he or she is filled with a sense of self-love and self-appreciation. May we please work in that direction? Today at the Clear Spring School, high school students will be working on independent projects and learning framing square math. Elementary students will be making animal habitats and projects from their imaginations. Make, fix, create, and demonstrate skill so that others may learn lifewise. A reader (Dwight) sent me a link (https://www.academia.edu/472407/Toy_Tales_a_Narrative_Approach_on_Sloyd) to an article about toy making and Educational Sloyd, and when I followed it, I found that it carried me to the Journal published of the Crafticulation Conference in Helsinki, 2009. I was at the Crafticulation Conference in Helsinki, and presented my own paper on Tools, Hands and the Expansion of Intellect. That paper is included in the download, along with many others for those who may have some interest in Sloyd. Educational Sloyd is not practiced in Scandinavia as it was in the 19th century. There has been exploration and refinement and it is much more focused on creative engagement than it once was. So when people ask whether my woodworking program at Clear Spring School is "Sloyd", it depends on which century you are looking at. My purpose has never been to exactly replicate the Educational Sloyd from 1876. In Scandinavian countries, Norway, Sweden, Denmark and Finland, as well as Estonia and Latvia, an interest in Sloyd and its development has been sustained for almost a century and a half. Otto Salomon saw his own particular work as a "casting mold" that would be broken so that other forms would evolve from it. So here we are. 2017. What can we learn about education from Educational Sloyd? One thing for sure. They still have it in the Scandinavian countries. In the US, manual arts have been largely abandoned, particularly in the lower grade levels. Standardized testing does not measure either hand skills or creativity, so in the American teach-to-the-test obsession, there's too little time in school for the arts, particularly those requiring the use of tools. Start with the interests of the child. So where do the hands fit in? If a child sees something that interests him or her, the first inclination is to touch. The hands are our most effective tools of exploration, making known to us that which had been unknown. The development of hand skills provides a model for all learning as we move from the easy to more difficult. The ability to touch and manipulate makes simple those things that appear complex, and the hands provide the bridge between the concrete and abstract. In other words, the theory of Educational Sloyd provides a foundation for educational development that should not be ignored. The photo shows the use of a Sloyd knife. Make, fix, create, and help others to discover learning lifewise.